Berlin is no doubt one of the best places on earth to explore the Cold War era historical facts. For obvious reasons. The divided city was, from 1947 to 1990 the symbol and, in many ways, the center stage for this political and military tension period. If you are in Berlin and are intrigued by this important historical era, make sure to visit the BEST COLD WAR BERLIN SIGHTS. You are guaranteed a very enriching, sometimes spooky and definitely amazing experience. 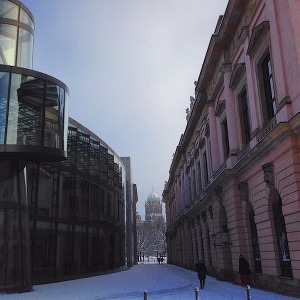 We selected the BEST COLD WAR BERLIN SIGHTS that we believe will give you an encompassing understanding of what went on. The sights are important and complex enough to be visited on their own (budget half a day for each). If you plan on diving head on, budget two full days for all main four. Otherwise, if you have time, take breaks (even months) between these sights as they can be overwhelming from an emotional and informational standpoint. Fascinating for sure. Definitely very important to understand this city’s culture, history and people. Before visiting these sights, it is worth researching a bit about the Cold War. Why not read a book or see a movie/series to get you in the mood? We recommend reading Stasiland, by Anna Funder, an amazing book about the people behind the Stasi (East Germany Secret State Police) and its victims. If you prefer a movie or TV series we recommend The Lives of Others, Goodbye Lenin or the new amazing series Deutschland 83. On to the sights! Make sure to check the Map of the BEST COLD WAR BERLIN SIGHTS below to help you locate the sights! Enjoy! The former Headquarters of the Stasi (East Germany Secret State Police) is a must-visit for Cold War aficionados. This gigantic plattenbau style building complex houses the Stasi Museum. Here one can go through a very well laid out timeline about the Cold War events in Berlin. The building design, furniture, layout, details are mostly original and will certainly transport you back in time. Get into EVERY room. Do not miss the Erich Milke quarters ( He was the head honcho of the Stasi for over 30 years). We are also fascinated by the design elements of that time, so that alone is worth a visit. The Berlin Wall Memorial is perhaps the most “personal” of the BEST COLD WAR BERLIN SIGHTS. 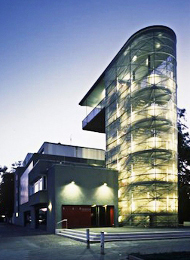 It is situated along Bernauerstrasse between Mitte and Prenzlauer Berg, along the death strip where the Wall used to be. The memorial contains the last piece of the Berlin Wall with the preserved grounds. Part of the memorial is an open-air exhibition that uses the Bernauer Strasse strip to illustrate the history and the people that lived through the Berlin Wall times. Visit the various monuments, excavations, visitor’s and documentation center. Make sure to climb the viewing Platform for a complete experience. It is a powerful and illustrative Cold War sight. Totally worth it. 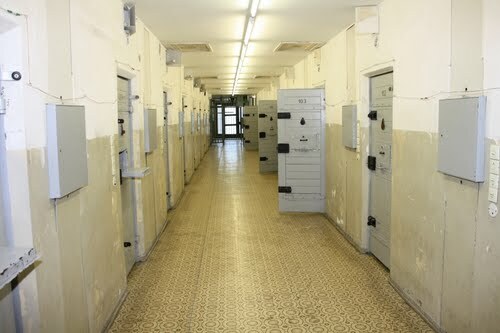 Hohenschönhausen used to be the main prison where “enemies” of the East German Regime were taken, interrogated and sometimes tortured during the Cold War. Here you are able to visit the cells, interrogation rooms, a small and powerful memorial and listen to many increadible stories. The visits are guided and most guides are actual ex-priosoners. It just does not get more powerful than this. Make sure to explore the grounds after the guided tour. There are quite a few amazing photo opportunities. Also, do not miss the spooky portrait of Erich Honecker (the leader of East Germany from 1971 to the Fall of the Wall in 1989). Perhaps the most important historical museum in Berlin, the German History Museum offers a lot more than just Cold War history. However, we feel that visiting this museum will give you a great complementary perspective on the previous sights. On top of that, the anex to the museum always has quite a few amazingly curated temporary exhibits. Quite often they will have a Cold War themed one, at least. This museum’s collection can be overwhelming though, make sure you pace yourself and focus on the subjects of your interest. Do not try to cover it all in one visit. It is humanly impossible. A must visit for sure. 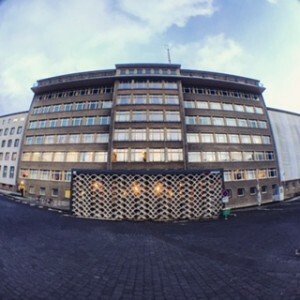 Tränenpalast – Former border crossing building right by Friedrichstrasse Station. Understand how it felt to cross the border during the Cold War. It’s Free! DDR Museum – Tourist overrun but still interesting sight with focus on the life during the East German regime. Can be combined with exploring the Museum Island the Berliner Dom areas. 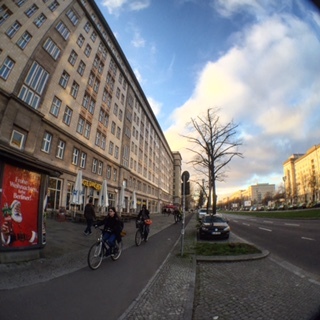 Karl Marx Allee – Monumental boulevard with rich Cold War architecture. Bike along this avenue and explore its side streets for a complete Socialist-feeling experience. Stop by Coffee Profilers for great craft coffee! **Main feature image extracted from the Stasi Museum Website. It's a fact! Berlin is one of the most exciting places in the world when it comes to contemporary art. We came up with a shortlist of the 10 spaces one should try to explore while getting to know the city. Read below and ENJOY! !